We provide excellent service in a cost effective way. At Momentum, we have a culture of continual improvement. We are focused on doing things better while improving resource efficiency. Momentum Support has been the leader in implementing many innovative ideas which have now become part of everyday service delivery in the contract cleaning sector. It can be difficult to implement change in an environment where the public are continually present in varying numbers but with the Momentum Support ‘can do’ attitude, we can make it happen. 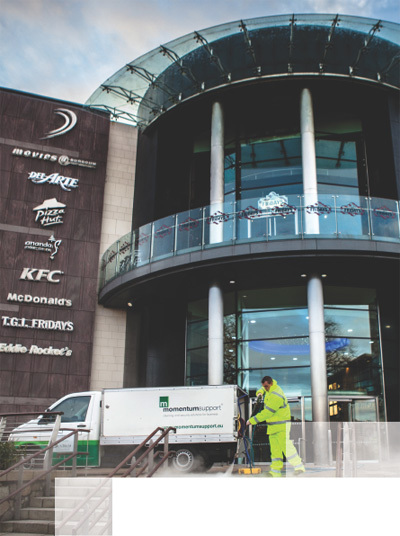 We offer a range of options to suit your individual commercial cleaning needs.